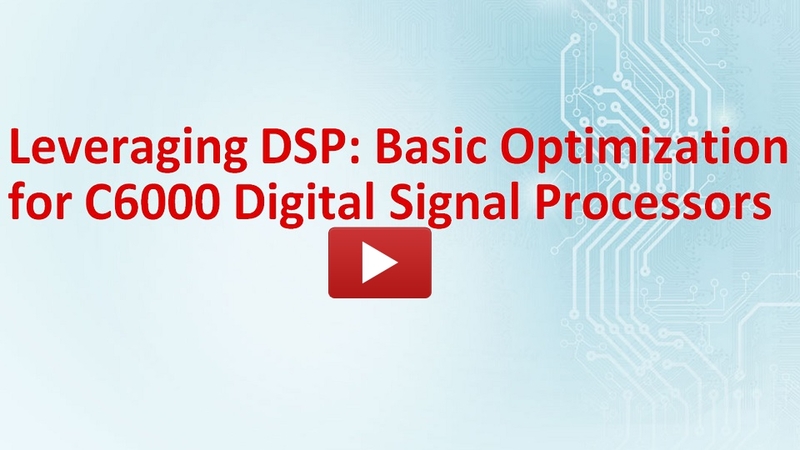 This module discusses how to leverage DSP capabilities by optimizing code on C6000 digital signal processors. It provides an introduction to both the hardware and software pipeline. The emphasis of the discussion is on the software pipeline, estimating performance, how to optimize code using Code Composer Studio (CCS), and potential issues to avoid when creating a software pipeline.